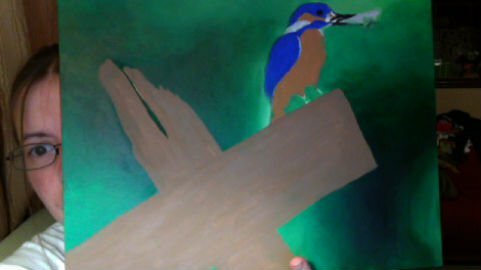 Kingfisher Painting FINISHED!!!! 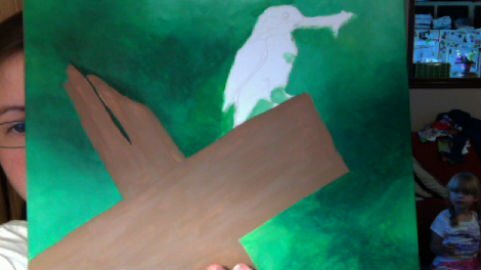 | Who Are You Calling Crafty? 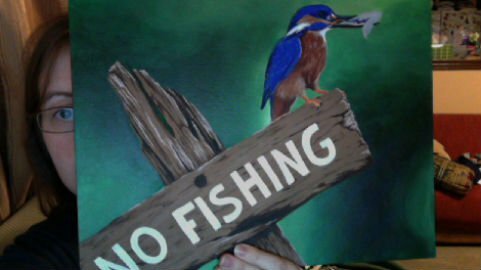 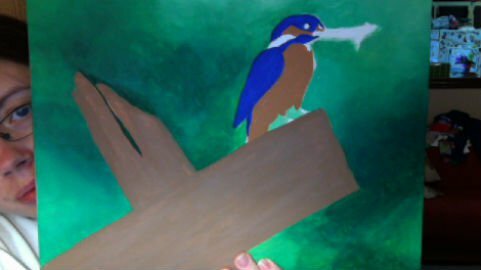 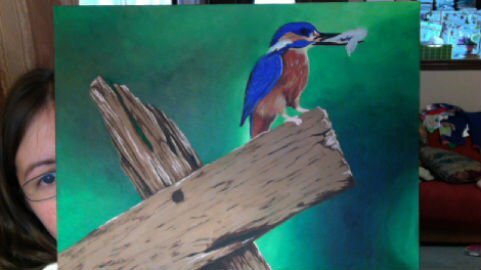 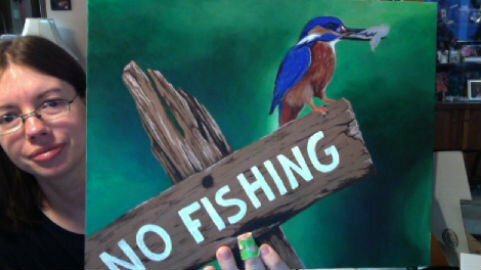 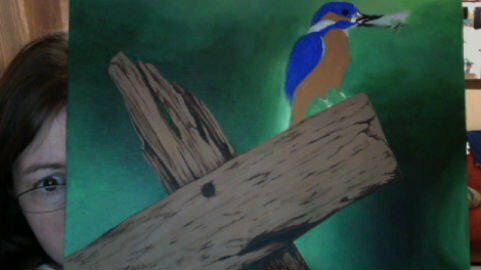 After almost two months of sitting on my easel I finally finished the Kingfisher this past weekend. 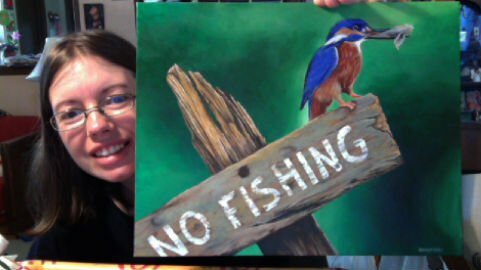 As per usual I painted this with my PLAID Paints (I love them so much). 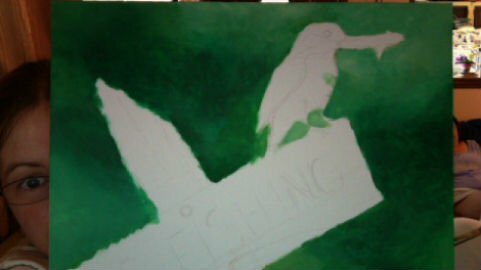 I really need to start writing down the colors I use there were so many in this one I don’t think I could remember them all. 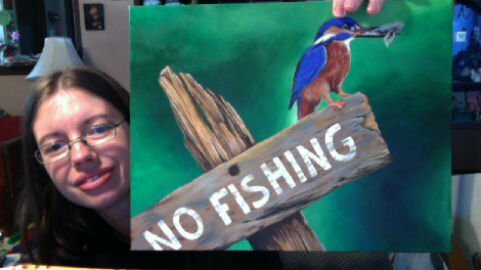 I didn’t even use Paynes Grey in this one (shocking I know) I discovered Burnt Umber, a little Cobalt and some Black makes a really nice Paynes grey. 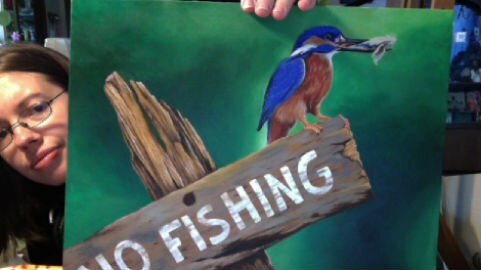 This is the scan I did of the painting I have not taken “outside photos” yet – I plan on doing that today.